Jo Dunbar is a profoundly deaf choreographer and dancer who has worked both in Australia and in the UK. 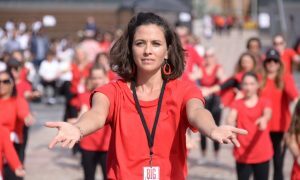 In 2012, Jo and fellow deaf dance artist, Anna Seymour, together founded The Delta Project, a dance company employing both hearing and deaf dancers. 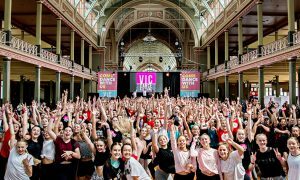 Dance Informa recently caught up with Jo to discuss her journey so far as a deaf artist forging a career in the competitive world of dance. How did you come to consider a career in dance? How did you cope with your additional challenges in learning to dance and becoming a professional? How did you gain access to the resources that have helped your career? What are your biggest frustrations in your career? What would you like to tell other aspirational dancers who are deaf or hearing-impaired? 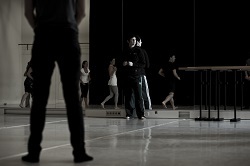 Photo (top): Choreographer and dancer Jo Dunbar. Photo courtesy of Jo Dunbar.